Comprehensive legislative, regulatory and media campaigns on major environmental regulatory issues such as federal wetlands permitting, Clean Water Act jurisdiction and compliance, endangered species protection, regulatory farming exemptions, and broader private property rights protections. Securing Clean Water Act permits on series of major land development and home construction projects. Advising & representing regional homebuilders’ coalition on successful $1.3 billion federal water infrastructure budget authorization. Advising & representing energy services corporation on Department of Energy contract procurement, solar farm development, and business development. Advising insurance brokerage firm on energy regulatory compliance. Advising engineering company developing microwave desiccation applications for clean-coal power generation. 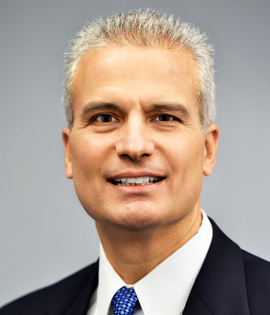 John Sitilides is Principal at Trilogy Advisors LLC, specializing in government affairs, political communications and geopolitical risk management. His client portfolio includes industry leaders in real estate development, home construction and agribusiness, and emerging technology companies. Working with former Members of Congress, Executive Branch officials, senior Congressional staff and retired ambassadors and military officers, he specializes in federal environmental permitting & regulatory reform, private property rights, water infrastructure, energy technology and natural resource conservation issues. Sitilides serves on the Board of Directors of 3doo Inc., an advanced media technology company, and of Biovest International, developing personalized cancer immunotherapies. He also serves on the Board of Governors of the Advanced Imaging Society, promoting the global film industry’s arts and technologies. He has testified before Congress and has appeared on Fox News, CNN, CNN International, One America News and BBC News, and been cited in the Wall Street Journal, New York Times, Washington Post, Bloomberg News, Reuters, Institutional Investor, and scores of leading broadcast, print and digital media. Under a U.S. government contract, Sitilides manages the State Department’s professional development program for senior U.S. diplomats in Greece and Cyprus, in coordination with the Turkey program. He is a professional speaker on geopolitical risk management and the business impact of global affairs and American politics at investor and business conferences, and before government, military and intelligence community audiences. He was Board Chairman of the Woodrow Wilson Center Southeast Europe Project through 2011, following seven years as Executive Director of the Western Policy Center, an international relations institute specializing in NATO/EU interests throughout southeastern Europe, until he negotiated its 2004 merger with the Woodrow Wilson International Center for Scholars. Previously, he served as federal affairs strategist to AKT Development Corporation, a major California land development corporation, where he managed Congressional & Executive branch agency lobbying & communications strategies on federal wetlands, endangered species, and property rights issues. He launched his career as a communications and legislative aide to Senator Alfonse D’Amato (R-NY), including on his successful 1986 and 1992 re-election campaigns. Sitilides serves on the Board of Directors of International Orthodox Christian Charities, a global humanitarian organization, and the Board of Trustees of Leadership 100, a national Greek Orthodox foundation. He is a member of the Association of International Risk Intelligence Professionals, the Intelligence and National Security Alliance, the U.S. Geospatial Intelligence Foundation, the New York State Society of Washington D.C., the Columbia University Club of Washington, D.C., the Association of Former Senate Aides, and the Federalist Society for Law and Public Policy Studies. Sitilides holds a Master’s Degree in International and Public Affairs from Columbia University. He lives in McLean, VA with his wife, who is an attorney and businesswoman, and their four sons. Need an expert speaker on geopolitical risk, global affairs and American politics?